What does Edpuzzle cost and how can I increase my storage space? Edpuzzle is 100% free for teachers and students. Our goal is to never charge a teacher for using Edpuzzle because, as former teachers, we don't think you should ever have to pay out of pocket for the resources you use in class! How does storage space work? 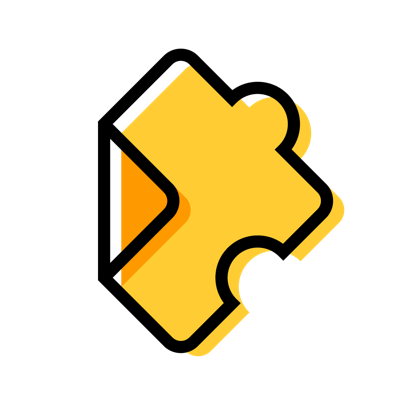 As a teacher, you have access to all of the features Edpuzzle offers. There is a limit in terms of storage space, however, and each teacher can store up to 20 videos in their account. What counts towards your storage limit? All of your lessons, whether you've uploaded them yourself or found them in any of the channels we offer. All the student projects you create. What doesn't count towards your storage limit? Folders: create as many folders as you need to organize your content. Assignments: assign a lesson to as many classes as you want, as many times as you like. Assignments don't count towards the limit. Can I increase my storage limit? Yes, and it's easy to do! Check out our article on how to increase your storage space for free. Can I delete lessons from "My Content?" Yes! Deleting a lesson from "My Content" will free up space for new content. Where can I find my school's upgrade code? Your school administrator has your school's upgrade code. If they haven't given it to you yet, ask for it! Please note that for security reasons, we can't provide the code, and only your administrator can give it to you. How can I refer other teachers? Thanks a lot for helping us spread the word – you're amazing! Via email: Send email invites directly to your colleagues. At a workshop or conference: Include your unique referral URL on the whiteboard and make sure to let your colleagues know that by registering through this link they'll get extra storage space! Share your link on Facebook. Share your link on Twitter. You can find these options by going to https://edpuzzle.com/profile?tab=plan and clicking on "Invite a teacher." What happens to my Pro teacher account if my school gets Pro School? If you have a Pro Teacher account and your school gets Pro School, all you have to do is add your school's pro code to your account and your Pro Teacher subscription will be canceled right away. This way, you'll keep enjoying the same unlimited access but at no cost to you. Your school administrator has your school's upgrade code. If they haven't given it to you yet, ask for it! Please note that, for security reasons, we can't provide the code, and only your administrator can supply it to you. Where do I enter my school's upgrade code? Click on the icon located in the top right of the screen to open the drop-down menu. At the bottom of the menu, you'll see an option that says "Add upgrade code." Just click on it, add the code and you'll be all set! If the option of "Add upgrade code" doesn't show up in the drop-down menu, then click on your name to go to your profile, select the "School" tab and add the code in the "Upgrade code" box. Where do I add the upgrade code for my Pro School account? Click on the icon located in the upper right corner of the screen. A drop-down menu will appear. At the bottom of the menu, you'll see an option that says "Add upgrade code." Just click on it, add the code and you'll be all set! If the option of "Add upgrade code" doesn't show up in the drop-down menu, then click on your name to go to your profile, select the "School" tab and add the code in the "Upgrade code" section.